The new Western Regional Minister, Kwabena Okyere Darko-Mensah, has given the assurance that the three girls kidnapped at the Sekondi-Takoradi metropolis would be brought back to their respective families very soon. The Regional minister’s comment followed claim by the Criminal Investigations Department (CID) of the Ghana Police Service (GPS) that Police have discovered the whereabouts of the three girls kidnapped. The first victim, Priscilla Blessing Bentum, aged 21, and a third year student of the University of Education, Winneba, lived with her parents at Diabene, near Takoradi. She was kidnapped on December 4, 2018, at Butumegyabu (BU) junction in Takoradi. 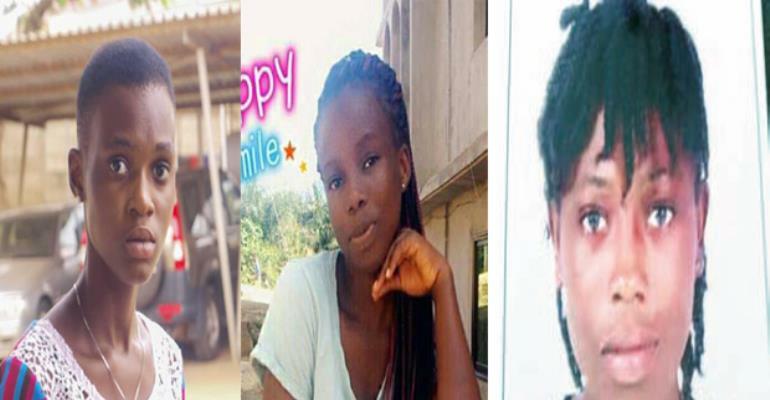 Priscilla Mantebea Koranchie, aged 15, is the third victim and a first- year student of Sekondi College, who lived with her parents at West Fijai, near Sekondi is the third victim. She was kidnapped on December 21, 2018, at a spot near Nkroful. Mr Darko-Mensah pledged to enhance the safety of residents in the Region despite the recent security challenges. He indicated that the security of the people and businesses in the Region were critical in attracting investors to the area. Mr Darko-Mensah stated that despite the influx of foreigners into the Region as a result of the oil find, his administration would work hard to resolve security problems in the area.